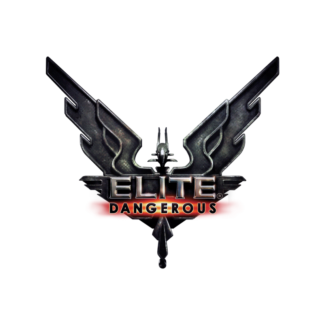 The third Crashed Thargoid Ship can be found on HIP 17403 A 4 a at -34.98, -141.41, and was discovered by following the clues beginning at the Sol, Achenar, and Gateway Numbers Beacons and specifically the Unregistered Comms Beacon at the San Tu Scientific Installation. 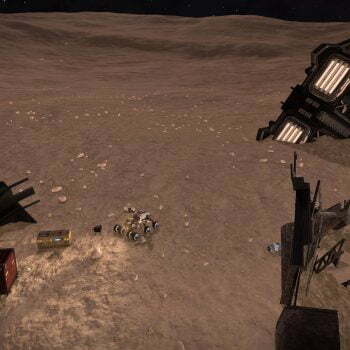 The Thargoid Ship at this crash site impacted into a crater, along with a number of human ships: three Type-9s, and two Anacondas. While there is no direct evidence that all of the ships crashed together, it is probable due to the co-location of the wreckage. 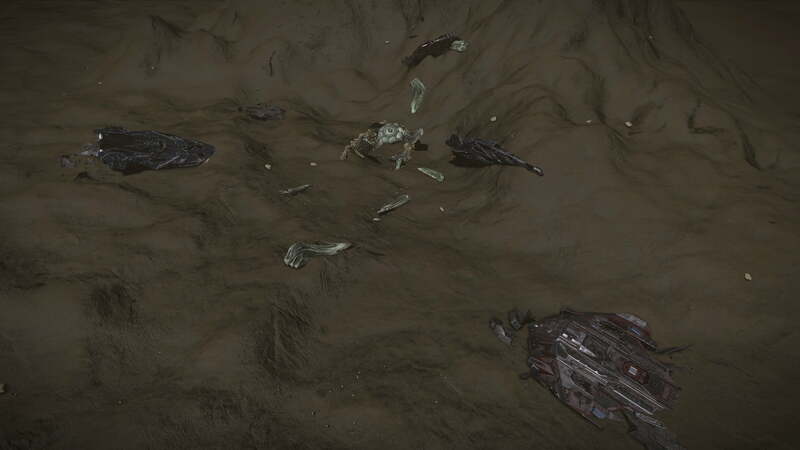 One or more of the ships, possibly the Thargoid Ship, appears to have been carrying a number of Unknown Artefacts, both live and dead ones can be found scattered on the ground nearby, as well as Unknown Fragment Engineer Materials broken off from the dead ones. 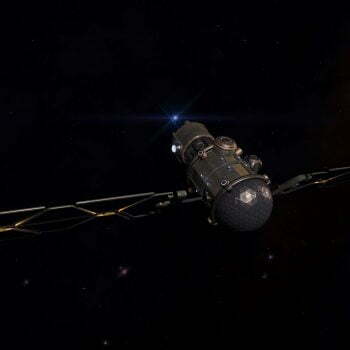 Additionally one or more of the ships, possibly the human ones, appear to have been carrying cargo of their own. Canisters containing commodities such as Gold, Narcotics, and various food supplies, are to be found amongst the wreckage.